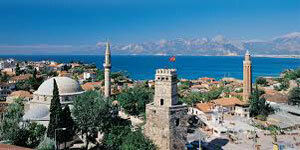 Surrounded by pine-clad mountains, Marmaris is situated in a breath-takingly beautiful bay. 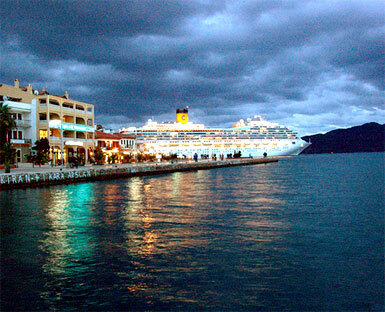 Marmaris has become a strategic port city and a booming tourist destination part of Turkey. Situated on the Mediterranean coast, Marmaris is located southwest of Turkey, within the Mugla Province. 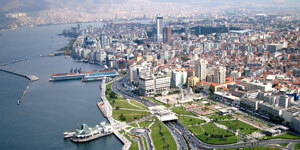 It is thus not a surprise that tourism is in fact Marmaris' no 1 source of economy. 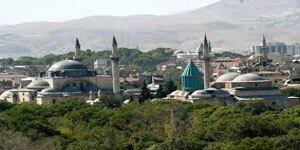 Marmaris has an exceptional natural beauty and spectacular location. By Road: There are bus connections from all the major cities. 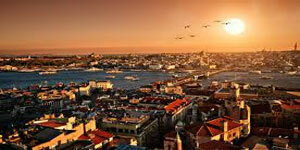 Marmaris to Istanbul is 758 km. Marmaris to Ankara is 843 km. 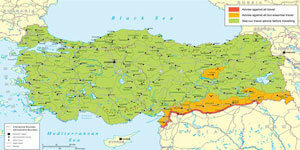 Marmaris to Izmir is 290 km. By Air: International Dalaman Airport is 85 km from Marmaris. By Sea: There are regular ferry services from the Greek island of Rhodes and also a port facility for all the European Cruise Liners. 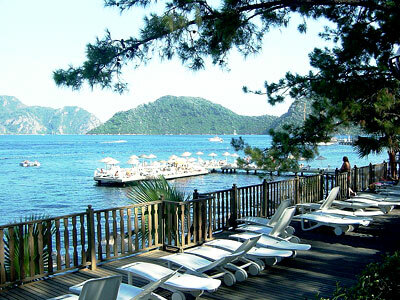 At the heart of the Mediterranean climate Marmaris has hot and dry summers and mild winters. The average temperature in the months of July and August is 33 degrees Celsius, in the winter months the average is 21 or 22 degrees Celsius. A tranquil resort, Marmaris is the ideal place to recharge your batteries in winter, try new fitness and health regimes and indoor pool activities and, in summer, to try watersports, sailing and yachting. Marmaris has lots of bars, restaurants and shops and offers a variety of accommodation including 5 star luxury for congress travel, all in a wonderful atmosphere. 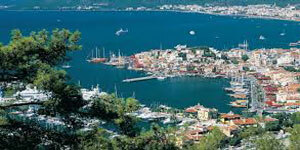 Marmaris has an estimated population of 31,000 and is a primary center for sailing as it has several marinas. 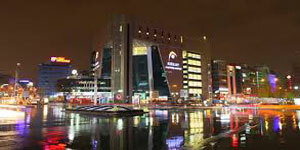 The marina is also excellent for a relaxing drink or dinner. 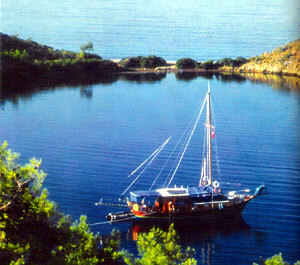 Marmaris is also well known for its wintering location serving hundreds of cruising boaters. 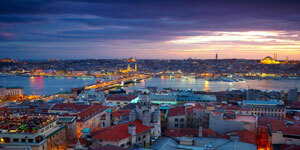 There is a castle fort built by Suleyman the Magnificent near the marina and is a nice place to visit. While in Marmaris, as a traveller, you can find numerous local tour companies offering specialised trips Jeep Safari which is actually a drive around the mountains surrounding Marmaris. 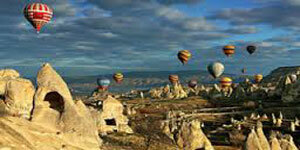 Also included inside the Safari package is a visit to villages, waterfalls and spectacular beaches. Another popular trip package offered is the Turkish Baths package which is a form of traditional Turkish bath known as Hamam which includes sauna, body peel, foam massage and oil massage. For the party and night life lovers, the Turkish night package offers entertainment night with cossack dancing and belly dancing. There are also packages to other places such as Dalyan turtle beach and mud baths, Pamukale, Lycia etc..
Because it is a touristic resort Marmaris offers something to suit every palate and has lots of restaurants. In Marmaris' bazaars you can browse leather shops, silver shops and jewellers. 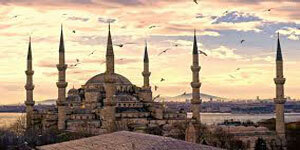 There are also Turkish carpets, textiles and handmade crafts available.